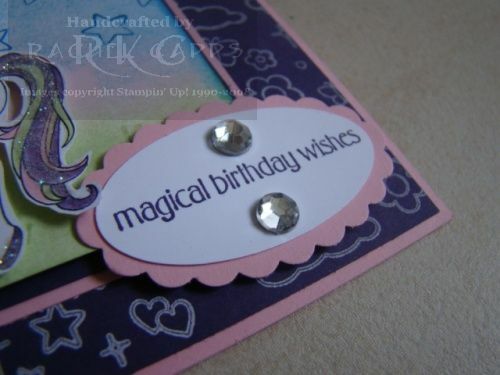 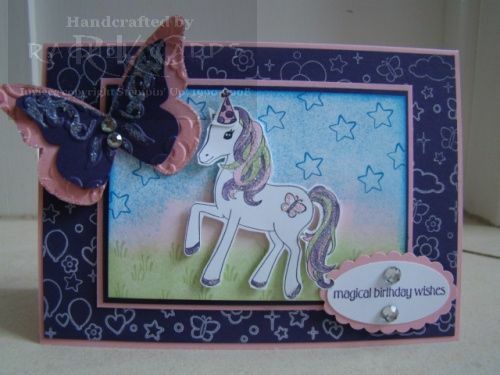 This is a card I made last year for one of my daughter’s friends. 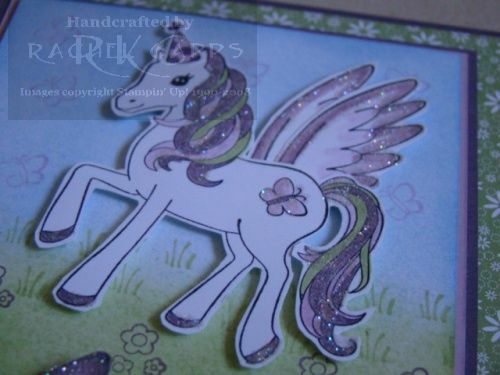 Ponies are simply too popular to ignore for 6 year old girls, lol! 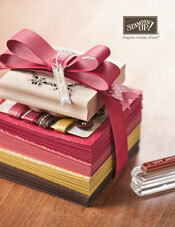 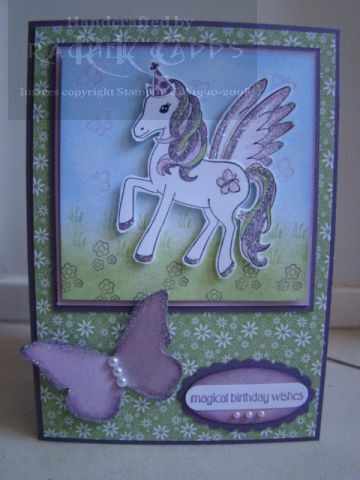 For this card I used the colours Concord Crush and Blushing Bride – I really love these new In Colors! 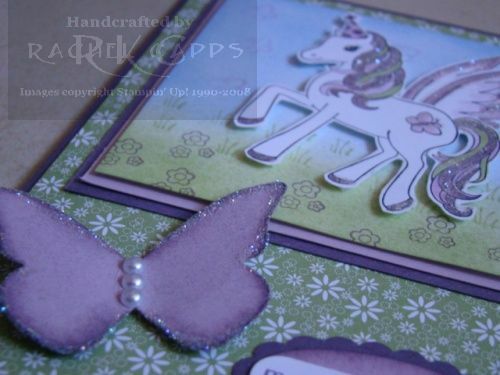 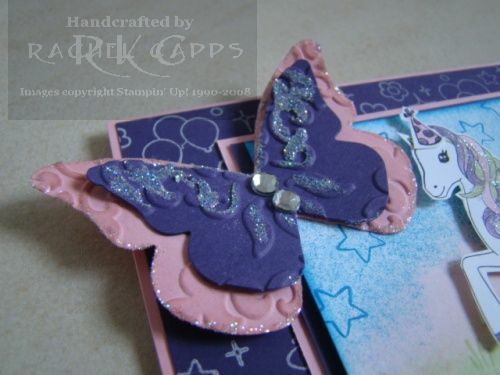 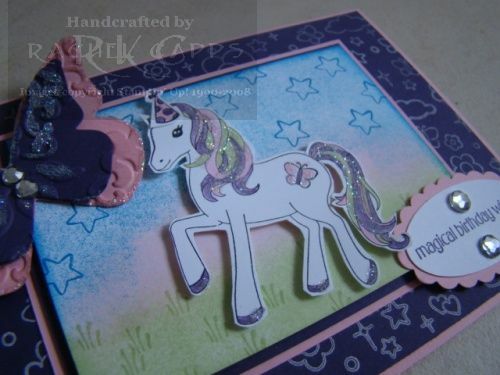 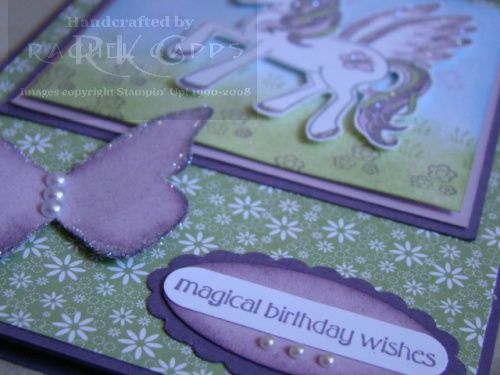 I did my usual – I masked the pony and sponging a background on which I then stamped the butterflies, grass and flowers. 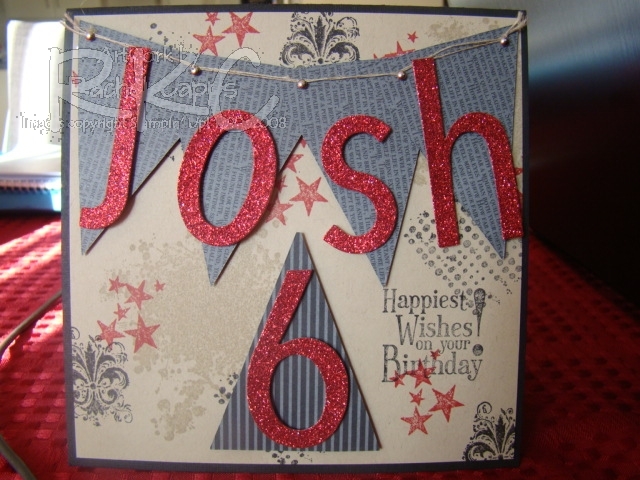 For the sky, I sponged the colour Bashful Blue and the grass with Pear Pizzazz. 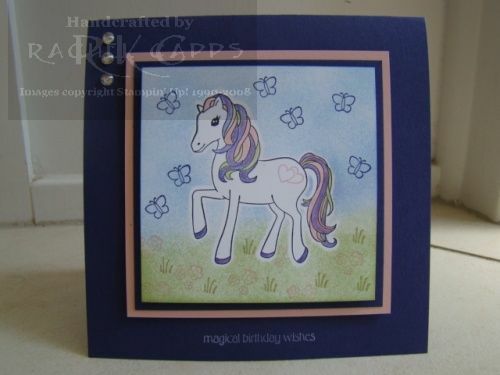 I used my blender pens to colour in the pony from my ink pads and I stamped the sentiment using White Craft ink. 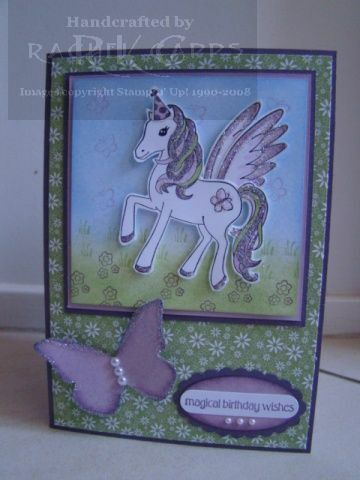 This gorgeous pony card was then finished off with three rhinestone brads in the top left hand corner.